Kateel Durgaparameshwari Temple situated on the banks of River Nandini, amidst beautiful surroundings, is the spiritual energy center of South Kanara district. Goddess Durga is the loving and caring mother of the people of South Kanara. Surrounded by lush green fields and beautiful hills, Kateel has become a famous pilgrimage and a tourist center over the years. 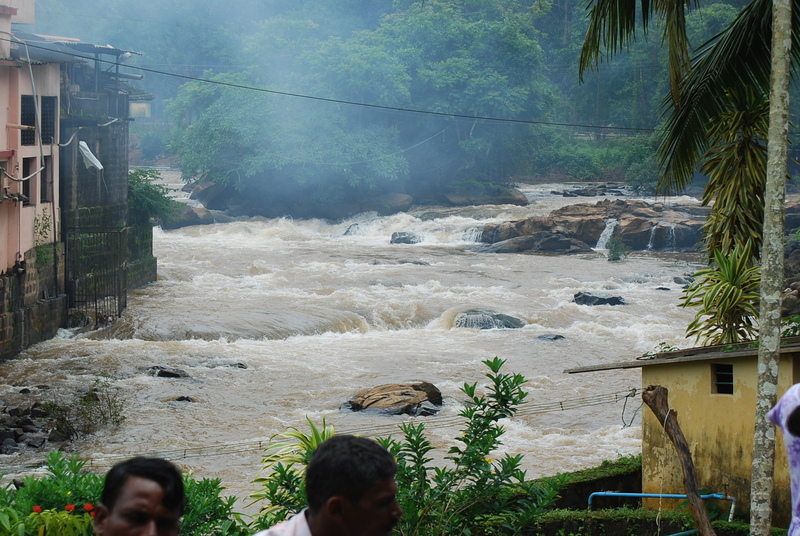 Kateel is located 30KMs North of Mangalore. Traveling to Kateel in the winding roads amidst green hills and valleys is a very pleasant and memorable experience. Thousands of devotees visit Kateel daily to seek the blessing of goddess Durga. Devotees and followers from all over the world come to Kateel every year in huge numbers to participate in Simhamaasa, Navarathri and other holy occasions. The temple’s trust also encourages several forms of arts. Notable amoung them is the Yakshagana dashavathara mela which was started as an offering to the goddess. During Dussera, Navaratri and other annual celebrations several sacred rituals like, Chandika Havana, Thula Bhaara, Veda Parayana, Hari Kathas are performed. This entry was posted in Holidays, Karnataka, Temples and tagged dashavathara, Durgaparameshwari, Dussera, handika Havana, Hari Kathas, kateel, Navarathri, Navaratri, River Nandini, Simhamaasa, Thula Bhaara, Veda Parayana, Yakshagana. Bookmark the permalink.